Earlier today it was announced that one Mr. Jeremy Beadle has conked it. He was admitted into hospital with severe pneumonia, and spent the last days in intensive care. In all honesty this news has upset me ITS JEREMY BEADLE FOR GODS SAKE. Re: The death of a legend. I don't understand in the slightest, but by God it amuses me. Tis a very sad thing. Though I'm glad he didn't die on the forums birthday. I feel that would have somehow cursed it. He had a gammy hand didn't he, I think the size difference of the control bits are a bit exaggerated, but you get the gist. Ahh, gammy hand, well that explains it then. how did you not know about the hand?! 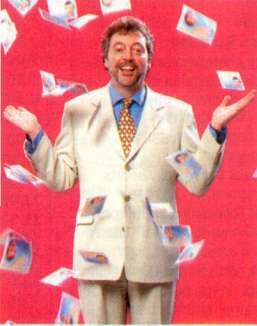 Clearly I just don't know enough about the anatomy of Jeremy Beadle. I've never felt that this would hold me back hugely in life, but now I see that I was foolish to disregard such topics when considering what to study at university. Anyway, I've just purged my literature: out goes the Plato, the Yeats and, of course, our man Billy Shakespeare, and in comes the Beadle, the Beadle and yet more Beadle! I WILL NOT rest until I know his shoe size, waist measurements and, most importantly, the number of times he visited the toilet on an average working day. Beadle, my muse, my inspiration, my reason for living, tell me why thou hast left us here on earth without thy divine presence, and I shall devote myself to making the world - or what is left of it without your gammy handedness - as Beadley as can be. Mmmm, Beadleific. So you're willing to risk the rest of your life for the sake of a tenner? You go Grainy! Lets string up the forum's carcass once again and parade it around like a puppet. 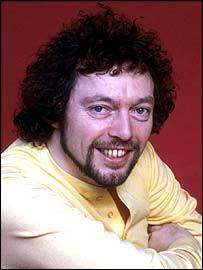 I also had forgotten that Jeremy Beadle ever existed. Very informative is our forum. Fear no more, my mournful mortals! I have returned. That makes four of us, and surely the four most important members. I hereby officially pronounce the forum... alive! You've killed it again with your optimism. We lasted a good two days this time. yeah my 200th post really did nothing to lift the momentum. Which actually shocked me considering that the world does revolve around me.